Because it seems that the Parisian is rough and coarse. 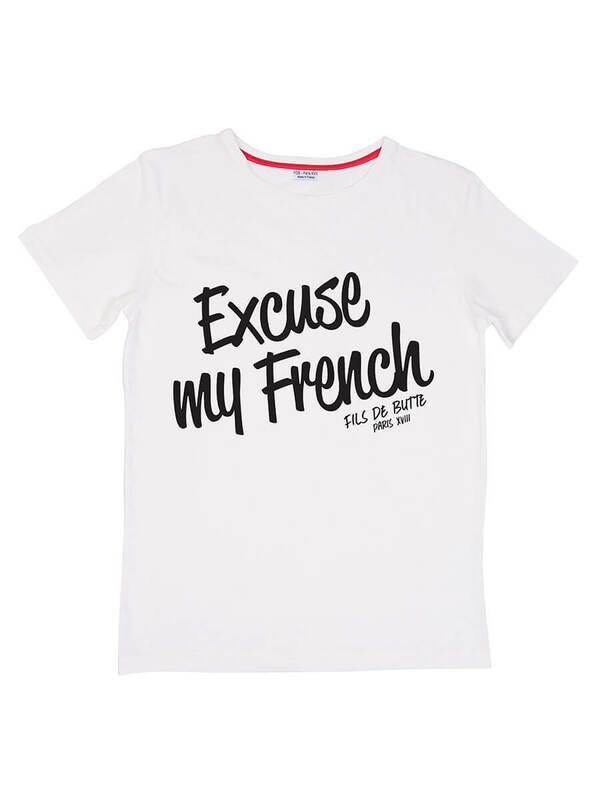 So please excuse our language, or rather: Excuse my French. Round neck, ribbed finish, double stitched hems and sleeves. 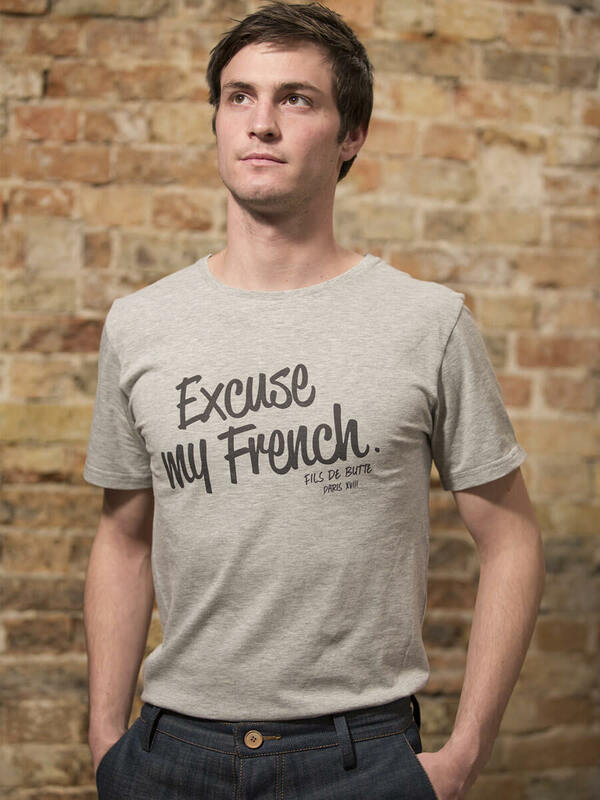 FDB T-shirts are entirely made in France from a jersey 100% cotton yarn and printed in the heart of Paris, in the Pigalle district. Oeko-Tex Label. Machine wash 30º. The cut is exclusively designed by Fils de Butte. Size M measures: 71 x 49 cm.